Hollow braided polypropylene. Rot proof. 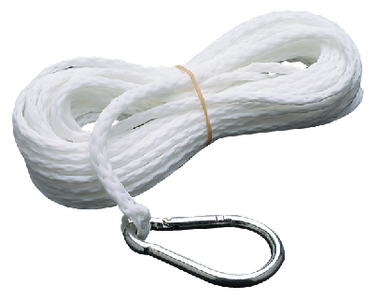 Great for small boats and mushroom anchors. Zinc galvanized srping hook.